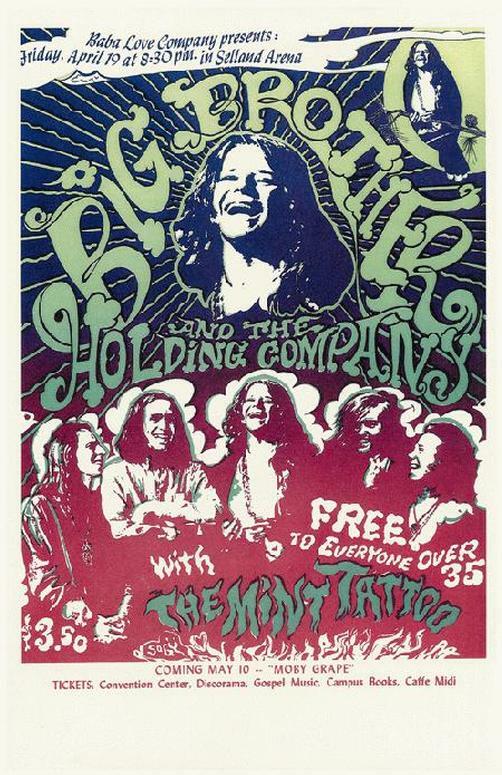 Reprint concert poster for Janis Joplin / Big Brother & the Holding Company at Selland Arena in Fresno, CA in 1969. 11 x 17 on card stock. High quality reprint.